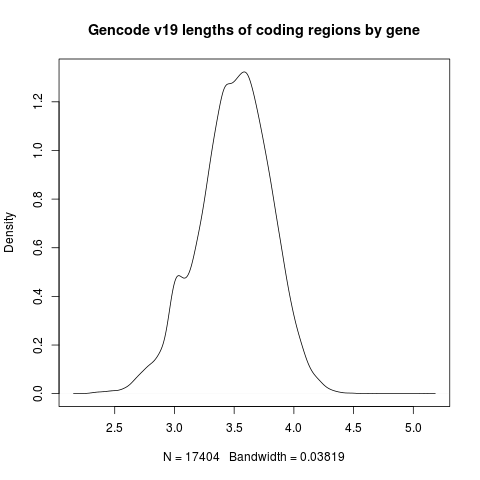 We can use Python to count the coding base pairs in each Gencode gene. Here, we report the base pair count by gene rather than by transcript. When we encounter different transcripts for the same gene with overlapping exons, we only count those base pairs once rather than multiple times.